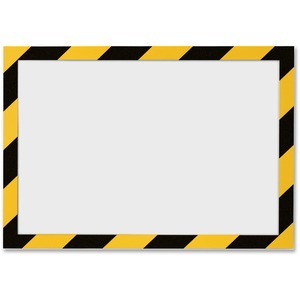 Self-adhesive security frame features a twin-colored border to present your safety and security directions in an eye-catching way. 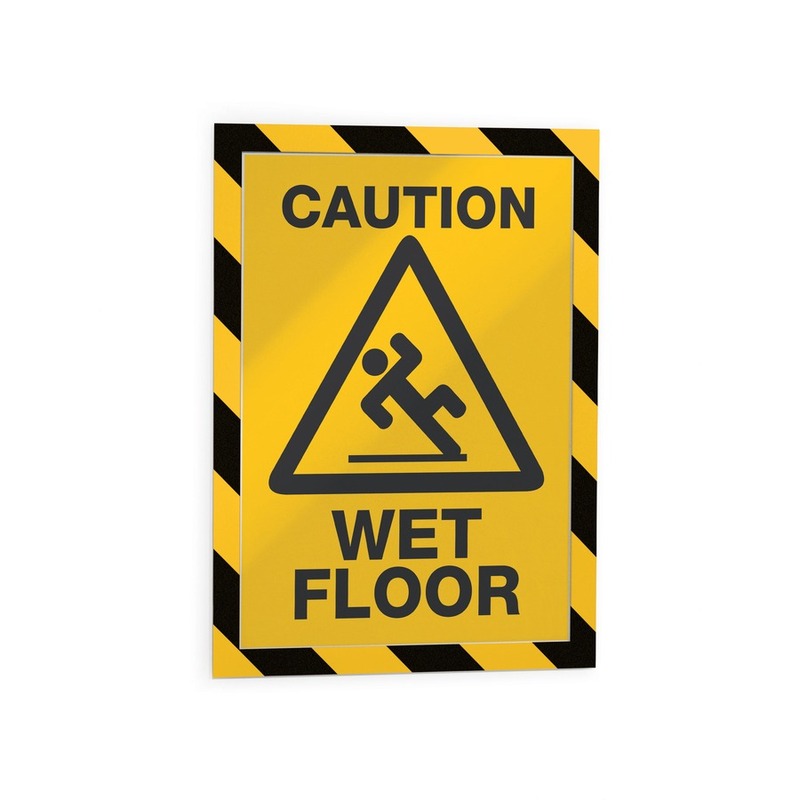 Flexible, magnetic cover pulls back effortlessly to quickly exchange and update your signs. 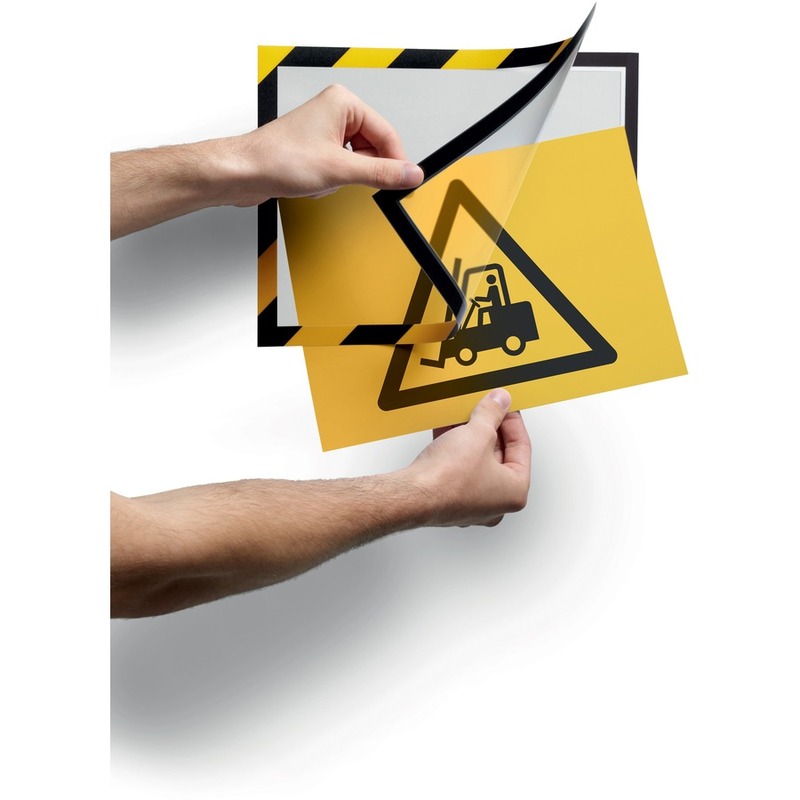 Four-sided frame works horizontally or vertically for convenient placement virtually anywhere. Easy-to-use adhesive requires you to simply peel and stick for immediate attachment to any smooth, solid surface. 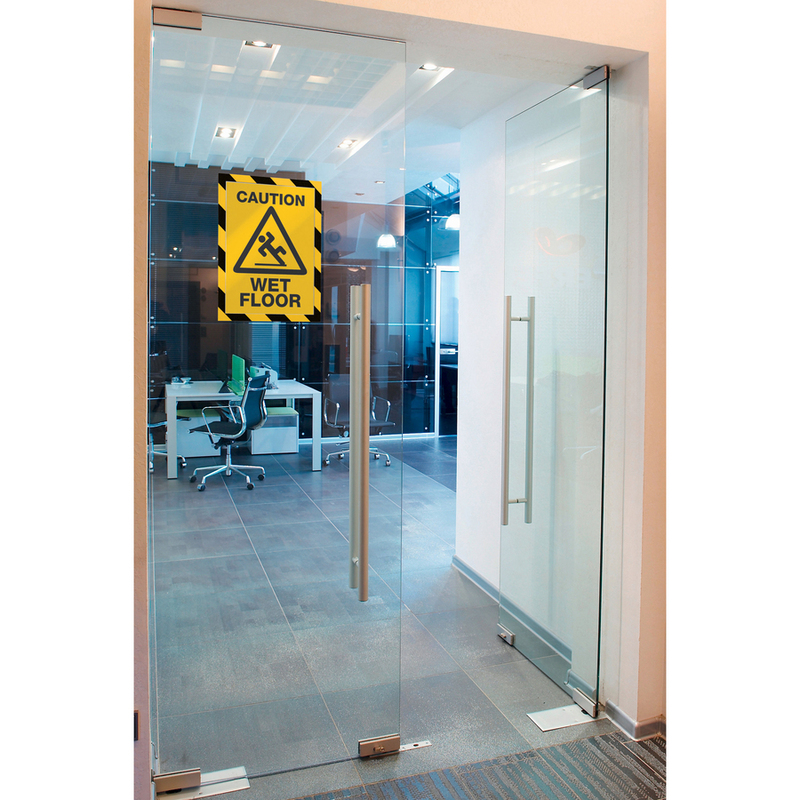 Dual-sided construction ensures visibility from either side when affixed to transparent surfaces to reach more people at once.